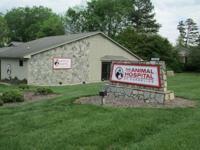 Animal Hospital of Cornelius is a Animal Hospital facility at 18726 West Catawba Ave in Cornelius, NC. Services Animal Hospital of Cornelius practices at 18726 West Catawba Ave, Cornelius, NC 28031. Their policy at Animal Hospital of Cornelius is to not allow pet owners to go in the exam room with their pets. I just brought my cat in to have her toenails clipped and they didn't want me to go in with her, can you believe that? I have always gone in with my pets anytime they have anything done (other than surgery or something like that). Even when we've had to have pets euthanized, we've been there with them until they draw their last breath. Animals don't understand what's going on and they need you there to comfort them. A vet who doesn't want you to be there to comfort your pet has something to hide and is not a place I'd do business with. And if they have animals getting into fights in their clinic, they're doing something wrong!! Obviously they don't care about your business, and there are red flags everywhere there!! Really great doctors here, and such gentle caring for my malti-poo. Dr. Bucy was excellent.